Tales from a tribble: Johnathan Gentry To GOP Candidates: "Challenge The 'Black Lives Matter' Advocates"
Johnathan Gentry To GOP Candidates: "Challenge The 'Black Lives Matter' Advocates"
Charles Payne of the Fox Business News was sitting in for Neil Cavuto on Neil's 'Your World" show on the Fox News Channel and did a segment on presidential candidates being confronted by members of the 'Black Lives Matter' movement and asking the question of how these candidates should handle being confronted by them. To answer this question, Charles Payne had on the clear, unafraid, outspoken Johnathan Gentry, the Minister of West Angeles Church of Christ. Wow, was he direct in calling out the shallowness of the 'Black Lives Matter' advocates and that is what he thinks all presidential candidates should do. He said, yes meet with them and challenge them by asking, "if you really think Black lives matter, why don't you clean up your own community before you ask me to clean up mine?" The Reverend brought up the drive by shooting of a black 9 year old girl who was killed in her bedroom in Ferguson, MO [yes, the same place riots were held on the death of the thug Michael Brown] by a black man. He asked the 'Black lives matter' crowd, if black lives matter why do you have silence on the life of 9 year old, Jamyla Bolden. 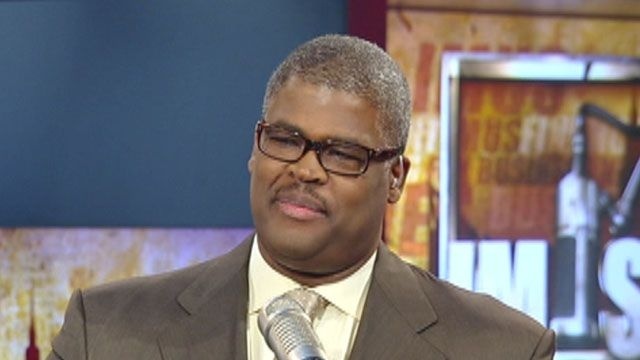 This was amazing stuff from Charles Payne and Minister Johnathan Gentry. Please turn up the volume and finally hear some sanity spoken in America. God Bless these two great black American patriots, Charles V Payne and Minister Johnathan Gentry.